Social Cycles is proud to be connected to the NGOs you find on this page. This network is no random collection of NGOs found on the internet. These are the organisations that have been researched, visited and verified by Social Cycles founder, Brett Seychell, as to their existence, intention and integrity. Some of them we visit often, some less so, but all of them have hosted a Social Cycles engagement experience at some point. All contact details and further information can be found through the links on each page. Social Cycles is a proud supporter of ChildSafe. As a result, we do not visit organisations that foster residential care (orphanages or boarding schools). All of our NGO engagements are with adults, for the purpose of learning. We’re proud to say that all of the NGOs listed on this page also promote family based care, amongst many other productive and ethical initiatives. Some of these organisations take long term skilled volunteers (minimum 3 months). Get in touch for more details. Our NGO of choice in Vietnam is Mekong Plus, although we sometimes engage with and learn from Habitat for Humanity. KOTO empowers vulnerable youth through vocational training in hospitality. 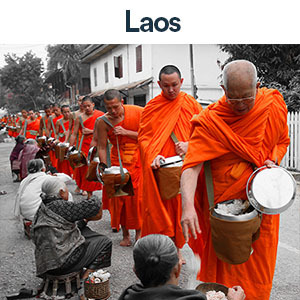 Laos primarily focuses on organisations involved with unexploded land mines, due to the recent history. We also learn about the current status of wildlife and the protection of it through Nam Nern night safari. When you think of Iran, NGOs aren’t usually the first thing that comes to mind. 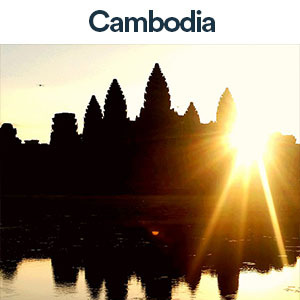 However, through much research and exploration, we have found a few organisations that we can learn from that will enrich and deepen your understanding of this incredible complex and beautiful country. Samoa, being so remote and isolated from the world, faces different challenges to many other countries. We learn from organisations that concentrate on women in small business, the education sector and we look at the effects climate change has on this tiny Pacific island. We currently connect with WIBDI, but no longer SVSG or PDT for logistical reasons. However, we encourage you to follow the links, learn more, connect and support them. More Samoa NGOs to be announced shortly. We connect with a variety of charities and social businesses within our own home town of Melbourne. As part of our half day corporate ride, you can have the chance to engage with, and learn from, some truly inspirational local heroes. Issues tackled include homelessness, disability, marginalised youth and training, refugee empowerment and support.